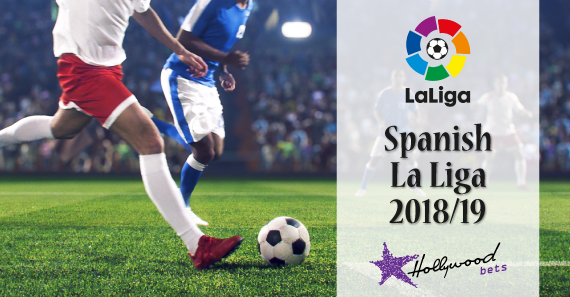 Our football analyst previews the Spanish La Liga week 20 action which kicks off on Friday 18 January 2019. Last weekend saw Lionel Messi become the first player to score 400 La Liga goals as Barcelona beat Eibar at the Nou Camp to regain their five-point lead at the summit. Meanwhile, Antoine Griezmann’s penalty was enough to give Atletico Madrid three points and keep them within touching distance on log leaders Barcelona. Elsewhere, Real Madrid edged past Real Betis to climb into the La Liga top four with a first win in three matches. Getafe’s impressive run this season continued when they beat Villarreal on their turf last Saturday. The Azulones are now sixth on the table, four points behind their opponents who occupy fifth position. Alaves drifted out of the top four position after Real Madrid stole a victory at Real Betis. The Babazorros are still unbeaten in their last four league encounters and they know any point they gain here is important as they bid to play in Europe next season. These sides last met in September at the Mendizorrotza stadium where they share the spoils in a 1-1 affair. Prior to that, the visitors had won two in a row, scoring five and keeping a clean sheet in both matches. This is a tough fixture for both teams and I can’t either side coming out on top, therefore back a draw at 22/10. Real Madrid will be looking for revenge in this Saturday’s opener against third-placed Sevilla, who thrashed Los Blancos 3-0 in Seville in what was undoubtedly the visitor’s best performance of the season. These sides are level on points (33) with Real behind on head-to-head. Santiago Solari’s side come into this fixture in opposite moods with Sevilla, who are winless in three matches and have registered just one win in their last six league matches. The wheels are certainly coming off for Sevilla who looked like early challengers. For Real Madrid, changing managers hasn’t really been the solution as the world champions are still struggling with one league win from their last three. The hosts were embarrassed in their last home fixture, losing 2-0 to Real Sociedad. A win will take Solari’s men into third and move three points ahead of Sevilla. Take Real Madrid to Win & Both Teams to Score at 17/10. Huesca opened the year in fine style by winning their first ever home La Liga fixture when beating Real Betis a fortnight ago, but their celebrations were cut short when they were brought back down to earth by Leganes last weekend. Atletico Madrid won their 77th 1-0 game under coach Diego Simeone and are now five points behind runaway leaders Barcelona. This is a perfect opportunity for the Madrid side to close the gap on Barca while stretching it on either Real Madrid or Sevilla who play each other. Back Atletico Madrid here at 13/20. Valencia desperately need to start winning more matches as most of their games have ended in ties. Even at home, the team seems unable to carve out three points. Celta Vigo are in a somewhat better situation as they stand above the red zone. They are, however, just two points clear off Rayo Vallecano, who are on a three-match winning streak. This is a must-win game for the Celtics who find themselves in this situation as a consequence for losing three in a row. The last two meetings between these sides ended in draws and it’s difficult to trust either team on current form. As usual, back Valencia to draw. Real Betis has a reputation of being a tough team to face, but they could not show any justification to that claim this year, being the first team to lose at Huesca which followed with a defeat at home against a lacklustre Real Madrid side. Just like last season, Girona enjoyed a good first half and have a terrible second period. The Catalans are winless in their last six league matches but because of their good start, they are still four points adrift off the Europa League qualification spot. Back Both Teams to Score at 9/10. Villarreal had a fantastic season in the last campaign which earned them a spot in the Europa league. Playing on Thursday’s has seem to be the problem for the Yellow Submarine who just can’t seem to find their feet in the 2018/19 La Liga season. The hosts have won only three games from 19 attempts and that horrendous run has seen them sit in 19th on the log, six points better off a dismal Huesca. Ever since Gaizka Garitano took charge of Bilbao, the results have started to come their way. The Lions are unbeaten in their last five league encounters and have distanced themselves from the relegation zone. A win here might ensure safety for in-form Garitano’s men. I don’t see Bilbao losing here, so back them on the Win/Draw Double Chance at 13/20. Rayo Vallecano have generally had a roller-coaster campaign which lacked consistency throughout the first half of the season. Miguel has brought some improvements and they have prospects of escaping the red zone soon. The Vallecans have every reason to believe again after an impressive run of three wins in a row and they are now four points behind Valencia, who occupy 11th position on the log. Real Sociedad did the unthinkable when beating Real Madrid in their last away fixture, ending a four-match losing streak. They made it back-to-back victories when scrapping through against strugglers Espanyol at home on Monday. I think the hosts are overpriced at 2/1 so get on before the betting changes. A safer bet is the Home/Draw Double Chance and Both Teams to score at 31/20. Levante were the 77th victim to lose 1-0 against Diego Simeone’s Atletico Madrid last weekend. That defeat means the Frogs are now winless in their last five league encounters. Their last home game was against Barcelona in a Cup game which the hosts won 2-1 and that could be somewhat of a booster coming into this home fixture. Real Valladolid started off brightly but the newcomers have lost ground, winning just once in the last 10 La Liga matches. Both these sides sit in mid division with one point separating them at 11th and 14th position. A winner here will have every reason to believe for a Europa League spot. Back the Frogs to win this one at 21/20. Barcelona will have a nice opportunity to keep the hot run of form going on Saturday night when they play host to Leganes who beat them in the first leg. The two hitmen Lionel Messi and Luis Suarez were the difference once again with a brace from Suarez while the Argentine became the first person to score 400 La Liga goals. The Blaugrana will want to wrap up the league as early as possible so they can focus on the UEFA Champions League – a competition they haven’t won since 2015. Back the host to Win Both Halves at 9/10. Two out off form sides in the La Liga are set to take on each other on Monday evening at the Municipal de Ipurua. This fixture has all the ingredients of a low-scoring dull affair given both teams’ form and position in the standings. The visitors lost eight of the 18 league games, which saw them slide down and drop out of the top six after a fantastic start to the season. Since embarrassing Real Madrid 3-0 in November, Eibar are winless in their last six league fixtures, leaving them in 16th place, three points above the red zone. From the last seven league meetings there have been two draws and two wins for the visitors, including the win when they last met in September, and three wins for Eibar – with five of those seeing both teams on the scoresheet. Though the stats suggests otherwise, we must also remember that two of their last meetings ended in 1-0 wins. I’m expecting yet another low-scoring game, so back Under 2.5 Goals at 13/20.